Wheat Storage: Hard, Red, White, Soft ? What’s the difference between -Red -White -Hard -Soft -Summer -Winter WHEAT? Wheat is one of the basic dry foods that preppers keep in their food storage, and is the most common grain consumed in the United States. One reason that wheat is chosen for food storage is because wheat has a very long shelf life if stored properly (decades). The ‘goodness’ remains in the wheat (berry) until you mill it (grind). Hard wheat has a hard kernel. The kernel is smaller than that of Soft wheat. Hard wheat has higher protein because it has a higher gluten content (gluten is a protein). Gluten helps the dough to rise by trapping the fermentation gases that come from the added yeast. Conversely, wheat that is lower in gluten content doesn’t make as good a rising loaf of bread, but it still works. Soft wheat has larger and softer kernels than Hard wheat. Soft wheat has less gluten content but is preferably used in pastries, pastas, and cereals. Winter wheat is planted in the fall, it grows over winter and is harvested the following summer. Spring wheat is planted in the spring, grows in the summer, and is harvested in the fall. Most of the Hard wheat varieties are Red wheat. Most of the Soft wheat varieties are White wheat. Having said that, there is a Hard White variety of wheat, and is a compromise widely chosen for making bread because of the opinion that it tastes a bit better than bread made from Hard Red wheat. The most common variety of wheat used in prepper food storage is Hard Red wheat (spring or winter), because of the high protein content, which typically is 12% or more. However Hard White wheat also has the same long-term storage benefits. A good food storage plan for survival preparedness includes a quantity of wheat stored for the long term (along with your other diversified stored foods). I personally keep both Hard Red wheat and Hard White wheat – sometimes mixing the two when making breads. There are several benefits from wheat, including the ability for long term food storage. If using wheat ‘from scratch’, you will also need a flour mill. Tip: Use the ‘Search’ function at the top of the page to search this site. We store Hard White. It’s what the Mrs. prefers. We’ve been doing it so long I forget why. This is one thing I have 0 of. We store both but have more Hard wheat since I bake more breads than sweets. I mix the flours in some breads and desserts, too. We have a Country Living mill and it’s bolted in place on a kitchen work island. I love it and it’s quite the conversation starter on milling fresh wheat and why. “Wonder Bread” sure did dumb us down…. Wheat is an excellent food to store for any/most SHTF possibilities. However I woud argue for most people and in most cases white rice is better. You could take the first 100 adults you encounter on the street at 8am and give them a cup of white rice and ask them to make a meal of it and 98 or so of them could. They would know how, they would know what to use to cook it and if they had to do it to survive they could. Just try that with a cup of hard red wheat. Now I admit for someone experienced with wheat and experienced with making bread from wheat that thw wheat option offers more. But without that experience it is little more then a really, really hard grain. If one were to discuss what food source is a good choice for people coming to one’s door for a handout, I agree that rice would be a better choice than wheat – no doubt. Most people do not know how to make bread, let alone mill wheat into flour – even though both processes are fairly simple. I am new to food storage and learning. 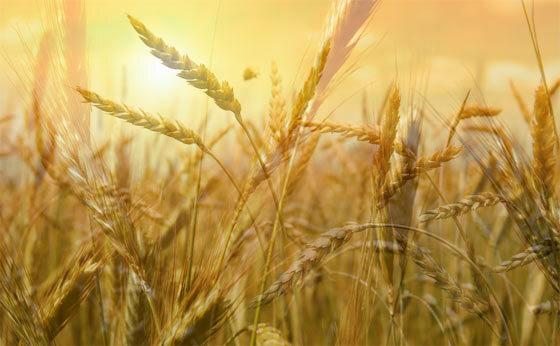 It would seem that if we are in survivability mode, then grinding wheat to flour and baking bread would become a luxury, for eventually the yeast will be gone. Can we not derive the same sustenance from the hard wheat berries by soaking them to eat – in an emergency? Yeast isn’t needed for a good loaf of bread, There is a recipe on this site for bread without yeast. It actually made a decent loaf of bread. I don’t really have any sort of food storage since I’m just a college student living in an apartment, but I have a bit of freeze dried stuff that would last just over a month and I like knowing how to do things like make bread without yeast and this site is a great place for that kind of stuff. It’s also pretty easy to make and keep a “sourdough” starter to make leavened bread without packaged yeast. People made leavened bread for hundreds (maybe even thousands) of years without dried yeast. Wheat does not need to be ground. I cook wheat and rye berries just like rice and serve with small amounts of meat or legumes.